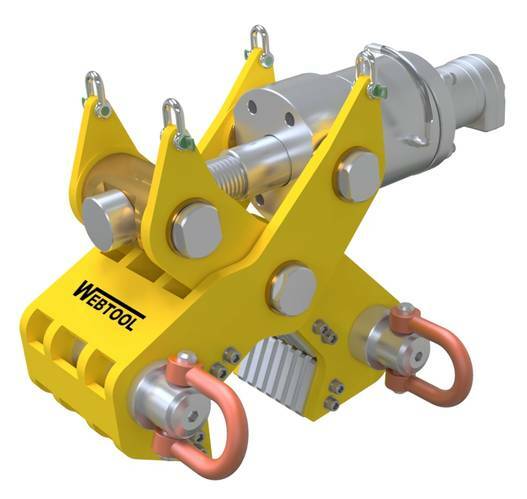 Hydraulic systems specialist Webtool has introduced a new gripping and lifting tool for recovering subsea umbilical and cable for offshore oil and gas and decommissioning projects. The Cable Retrieval Tool (CRT200), developed in consultation with international certification body and classification society, DNVGL, allows the safe and controlled recovery of damaged cable and umbilical, up to 8” (203 mm) diameter. Current methods of recovering umbilicals for repair or replacement involve trenching the seabed around the cable or umbilical to allow a double choke sling to be attached using an ROV. 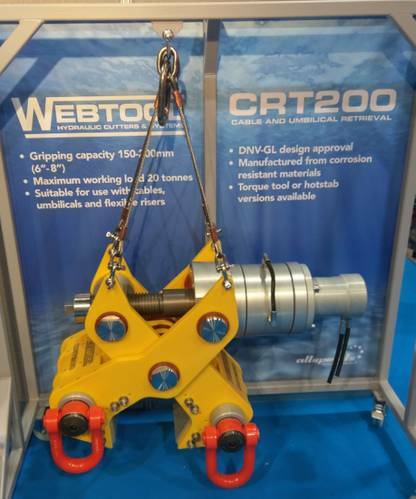 The hydraulically operated Webtool CRT200 gripper aims to offer a quicker and safer method of retrieval and improved handling, according to the manufacturer. The CRT200 cable gripper provides a streamlined cable recovery whereby the gripper, guided by an ROV, is lowered onto the end of the cable without requiring preliminary clearing of the soil around the cable. The mechanically locked gripping action ensures the umbilical cannot escape during retrieval; moreover, an internal clutch mechanism prevents damage from overtightening. By gripping the end of the cable, it makes subsequent handling much easier, enabling the cable to be recovered to a reeler or spooler on the surface vessel. Fabricated from corrosion resistant materials, the cable gripper weighs approx. 500 kg and has a lifting capacity of 20 metric tons. The CRT200 can be used at any water depth, and is available with hydraulic hotstab or torque bucket interface options. “Working in consultation with DNVGL, we’ve designed the CRT200 gripper to provide offshore contractors with a highly effective way of recovering umbilical and cable from any water depth. 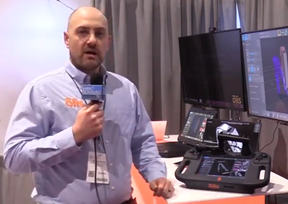 By gripping the end of the cable, it is easier to handle once on board the vessel,” said Keith Elliot, engineering director, Allspeeds Ltd.
Webtool said it offers the complete cable recovery package covering both cutting the cable and its recovery with the gripper. The ROV-operated Webtool cable cutting tools range from the light weight HCV100 for cables and umbilicals up to 4” (101mm) to the HCV270 for cutting up to 10.6” (270mm) in severe working conditions and allows diverless deployment. The Webtool range of high performance cutting tools is designed and manufactured exclusively by Allspeeds Ltd.